The varied perspectives about gemstones and their relevance are quite intricate as more than rational justification, the personal testing is considered appropriate. Highlighting the craze of gemstones we head back to the great hall in which beautiful empress Cleopatra had received the Roman Emperor Julius Caesar, which was decorated with furniture studded with rare gems and Jewels. Even in recent history, the Peacock throne of the Moghuls was studded with jewels of all kind and had attracted many invaders. So be it any era throughout the world, the magical effects of gems have been witnessed. 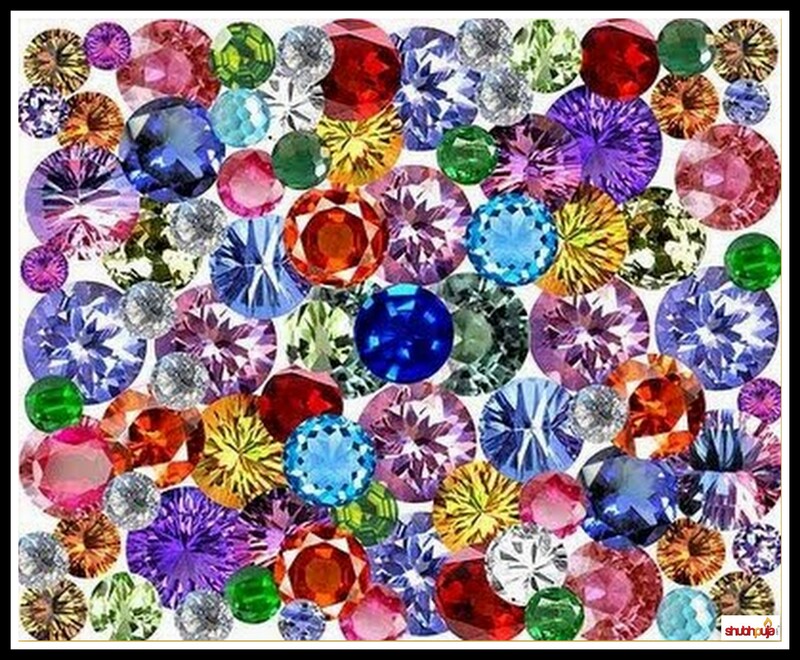 Being of different colours and lustre, the gemstones work on the concept of colour therapy. The seven colours of VIBGYOR along with the infrared and ultra violet invisible colours, affects the human system differently. It is important to note that the wavelength of coloured light emanating from the nine planets is believed to match those radiating from each planet’s corresponding gemstone. A particular stone absorbs all kind of solar and cosmic energy and allows only a particular type of energy to pass through it; which is then absorbed by the body. If prescribed properly, this actually helps the individual in restoring the body balance and attaining self-improvement. The glittering gemstones are considered the secret to happiness, fortune, health and monetary bliss in life. As the ancient Gemological texts of India explain that white light is actually composed of nine colours, symbolic of the nine planets, so the particular planets radiate their energy and influence through colours. Depending upon the position of the moon sign in a particular sign of the Zodiac at the time of birth, a particular gem is allotted. Now theses gemstones are not a sure shot success mantra, if you think, but it adds on to the continuous effort of an individual and further helps to receive positive fruits. Stones have a capacity to remove the hurdles caused by faulty positioning of planets, which may halt the success in one’s life. Ruby – Red colour energy improves courage, self-confidence, blood circulation and vitality, reduces anaemia, liver and gallbladder complaints, bowel problems and skin and heart diseases. It strengthens will and purpose as the forces guiding one’s actions. Emerald – Green colour energy is referred to encourage swiftness and freshness, as it is a nature colour that provides happiness, peace and reduces restlessness. Beneficial for wealth and property matters; and cures insomnia and depression. Yellow Sapphire – Yellow colour energy stands for wisdom, ambition, science, and confidence; and it attracts fame, health and success to the wearer. It raises one’s vibration to the higher side of the nature and promotes actions born from a sense of duty and humanity. Pearl – White colour energy denotes peace, simplicity, soft nature and friendship; deepens one’s emotional feeling and emotional healing. It aids in memory enhancement, cures uterine disorders, heart trouble and eye diseases, hysteria and pleurisy etc. It also increases sexual strength, removes melancholy and increases fortune. Blue Sapphire – Blue sapphire brings mental peace and financial rewards to the afflicted person. It is the fastest working gemstone among the 9 planetary gemstones. It fortifies one’s acceptance of responsibility and one’s sense of duty. It simplifies life and encourages thrift and the reduction of the need for personal pleasure and satisfaction. Diamond – It is said that the one who wears a diamond has a luxurious life. Diamond is supposed to enhance the name, fame and artistic quality of the person who wears it according to old beliefs. It improves stomach disorders, migraine, and cataract and helps in Soothing effect on the eyes, ears and the nervous system. It gives vitamin K. Controls pituitary glands. Cat’s Eye- This gemstone protects its wearer from hidden enemies, sudden dangers and diseases. 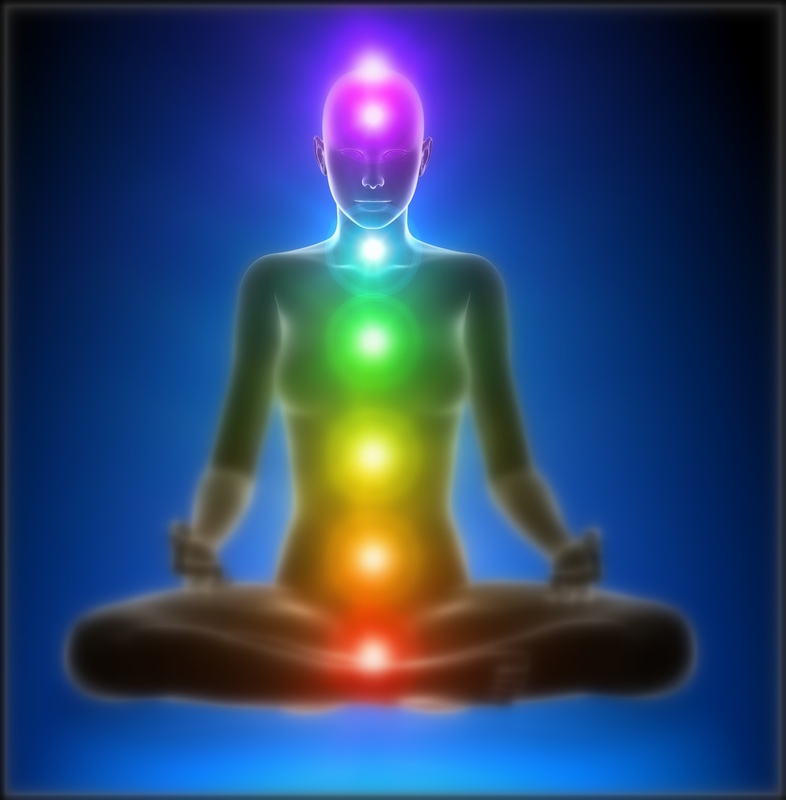 It may enhance one’s psychic abilities, insights, mysticism and perception of the paranormal. It may inspire one to adopt a simpler lifestyle and gravitate more toward asceticism and austerity. The faith on this unique art may vary but if you truly believe in it, and adopt a particular prescribed gemstone, then they surely work in your favour. This entry was posted in Astrology and tagged ancestors, astrology, auspicious, awesome, blessings, book now, cat's eye, colours, consultation, devotees, diamond, Emerald, energy, evil, faith, fortune, future, gemstones, glory, god, Goddess, grace, happiness, have a little faith, health, Hindu, human body, magical effect of gemstones, malefic planets, monetary bliss, pearl, planetary positions, pooja, position of moon sign, positive, power, puja, reflection, relevance, religious, Ruby, Sapphire, Scientific, shakti, shubhpuja, shubhpuja.com, stone, VIBGYOR. The beautiful hues in our life play a significant role to describe the exclusive trait of an individual. From darker shades of devilish vamps to brighter shades of the goody protagonist, the colour says it all in our Indian daily soaps. Similarly numerous hues and shades create varying effect in our lives, having their own unique story. The bright and chirpy ‘Yellow’ colour attracts most attention and is one of the three primary colours. This colour connotes varied meanings as per cultures and psychology, and even attributes to Hindu religion. The optimistic yellow colour transmits the wave of spirituality and enlightenment in one’s life. It symbolise the pure flavour of knowledge and learning, and Lord Vishnu being the epitome of limitless knowledge is connected to this colour. 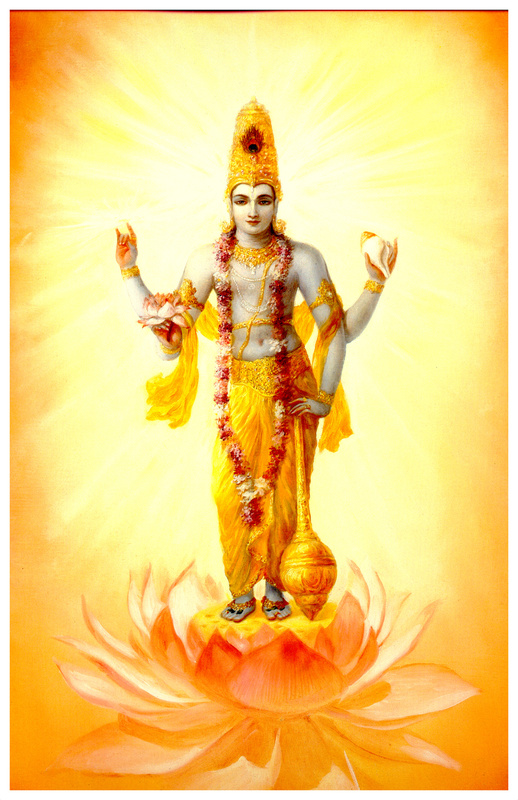 It is often said that the yellow attire of Lord Vishnu represents his vast ocean of awareness and spreads the hope of happiness. A yellow flower garland, often witnessed around the Lord’s neck is a symbol of the devotee’s adoration for the Lord and all the genuine desires of His devotees are fulfilled by him. His most popular incarnation as Lord Krishna is also observed wearing yellow attires that clearly portray his optimistic manifestation of cheerfulness and a bit of sensuality. Yellow being the most visible colour of the spectrum, has 2.5 times higher peripheral vision than red. The human eye processes yellow first than any other paint. It has a high light reflectance value and therefore it acts as a secondary light source. Along with the positive side of this beautiful colour it is also associated with cowardice, betrayal, egoism, and madness. Further it is the colour of caution and physical illness (jaundice and malaria). Though most of the nation connotes positive values to this colour, yet Yellow is reserved for ‘Mourning’ in Egypt and Judas wore a Yellow coat when he betrayed Jesus in the Christian tradition. Holding varied opinion for different individuals, yellow is the bright colour of life signifying happiness. Yellow is mostly worn by people to attract their beloved mate and is usually worn on Thursday to adore Lord Vishnu and receive wealth, success, fame, and happiness as His blessings. This entry was posted in Puja and tagged abode of knowledge, adoration, astrology, auspicious, awareness, awesome, beloved mate, blessings, celebration, cheerful, colour of Mourning in egypt, devotees, different meanings, energy, faith, fame, Fast, happiness, have a little faith, Hindu, incarnations, Jesus, Judas, Lord Krishna, Lord Vishnu, most visible colour, optimistic, relation between Lord Vishnu and colour yellow, secondary light source, sensuality, shades, shubhpuja, shubhpuja.com, success, Thursday, tint, wealth, yellow attires, Yellow colour, yellow to please Lord Vishnu. Birth and end of mortals are a law of nature; everything that has been created by the supreme energy will vanish into it one day. In spite of being aware of it, it’s not easy to let go off someone close to our heart. Yet we have to bid farewell to our beloved ones with a heavy heart. Rituals and ceremonies are performed in both the beginning and end of a soul’s journey on earth to transform the human life into a learning and memorable experience of soul. The ceremonies and acts involved after death of a human is a sensitive issue among society, often accompanied with various myths and superstitions that need to be dispelled. “Despite the country’s space programme which has sent satellite to Mars, many people in the country still believe in lot of superstitions and evil social practices. There is lack of awareness about scientific temper in the society which is the reason for such superstition,” said by President Pranab Mukherjee in an article published in The Indian Express. Here few of the myths are considered, justified with facts and scientific reasoning. Why to take a bath right after attending the funeral ceremonies? Once a person is dead, the body begins the process of decomposition in five major steps including, Initial decay, Putrefaction, Black putrefaction, Butyric putrefaction, Dry decay. As the body loses the ability to fight against bacteria, at times it may prove to be harmful. Since most of the ceremonies are performed near a river, the temperate environment of India makes it more favourable for growth of bacteria. Moreover the scavengers are usually found near cremation grounds that are a major carrier of germs. So keeping the health and hygiene into perspective, bathing proves to be beneficial and it also refreshes the grief struck family members of the dead. Why are Hindu women not allowed to go to funeral? To be more clear and precise, none of the source of Hinduism has mentioned about the concept of ‘women are not allowed at the funerals’; in fact at the time of Mahabharata women did take part in the funeral rites. Usually the rituals are performed by the eldest son of the family but if there is no male in the family, then women can also perform those rites. In few of the societies women were prohibited because of the children and other old members at home. Women have a lot of responsibilities at home so the long journeys and the funeral ceremonies may turn to be difficult for them as they can’t stay away from the too long. Aren’t dead bodies full of dangerous bacteria that can make the living sick? The microorganisms involved in the process of decomposition are not necessarily disease causing organisms. In one of the Oliver Morgan’s article, he says, “most viruses and bacteria that do cause disease cannot survive more than a few hours in a dead body.” So this is more of a smell and psychological issue rather than health issue. In extreme cases, if the patient is suffering from some contagious disease, then easy precautions like covering the face and hands while handling the dead body must be taken. Organ donation is against our religion? So these are just few of the common myths, which are prevalent among our society that needs to be validated with a proper argument. Awareness is must, especially among the rural sections of the society to get rid of such superficial arguments or rather follow them with a rational approach. This entry was posted in Puja and tagged ancestors, awareness, bathing, ceremonies, decomposition, funeral ceremonies, germs, health and hygiene, Hindu, hinduism, humanitarian, immortal, logic, mahabharata, microorganisms, mortal, myths, organ donation, Pranab Mukherjee, rational, religion, rituals, scientific reasoning, shubhpuja, shubhpuja.com, societal issues, soul, superstitions, women. Shubhpuja included in the ‘7 Unusual Stories Of ideas Converting Into Online Businesses‘ on India Online blog. Going online with your business is one of the first thing any businessman in India thinks of. It not only gives you an identity, it helps you to cut throw the initial phases of customer identification and reach out to your customer base. Niche products get recognized easily and success only comes with consistent approach with all P’s of marketing. This entry was posted in Media Coverage and tagged awesome, CEO and founder, coverage, have a little faith, India Online, Indiaonline.in, media coverage, out of box bulletin, publicity, saumya vardhan, shubhpuja, shubhpuja.com, unusual stories. 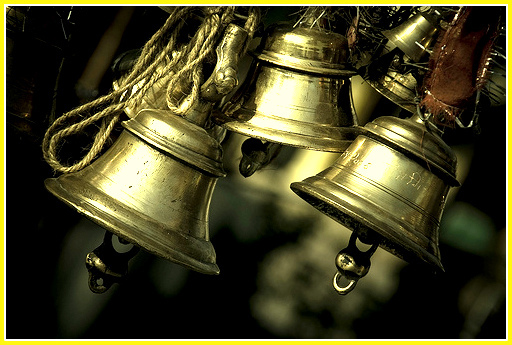 Shubhpuja is included in one of the online store service provided by Nitin purswani’s Zepo. 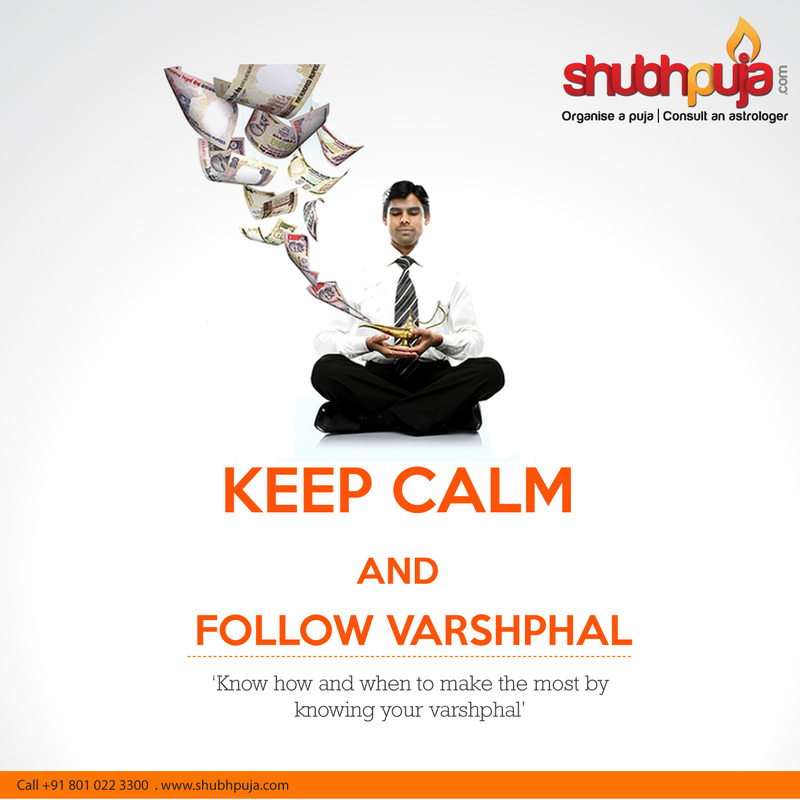 He says, “Shubhpuja.com is among the many successful online platforms that we have built. Our clients are not tech-savvy, but we provide them with the solutions to build their businesses”. This entry was posted in Media Coverage and tagged awesome, blessings, business, CEO and founder, clients, consultation, coverage, Economic Times, have a little faith, media, media coverage, online users, publicity, saumya vardhan, shubhpuja, shubhpuja.com, zepo.